3dMedlab was delighted to be invited to present at the 2019 Research Bazaar at The University of Melbourne today. This function is run by the university’s Research Platforms and serves to highlight all of the tools and technologies that enable high level collaborative research across disciplines, faculties, and campuses. 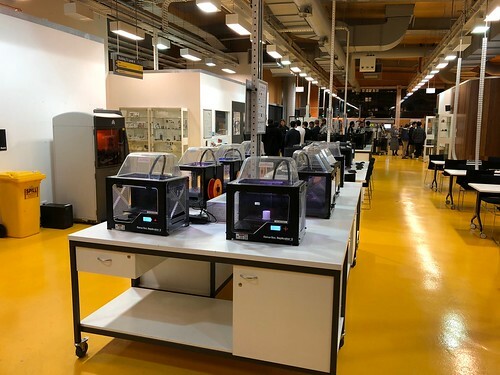 Our team got a chance to spread the #MedTech #3dPrinting #Collaboration fairy dust and catch up with our friends at Unimelb’s FabLab, NExtLab and Engineering workshops. We are so lucky to have access to the these facilities and more importantly the brains that reside there. To keep on top of the action follow the #ResBaz Twitter hashtag! OK, we know it’s not a competition but, hey, seriously? Thanks @Symplur for the data — and thanks to all our wonderful convenors, conference organisers, and student volunteers. Thanks to our 3dMed team who have pulled off an amazing conference. 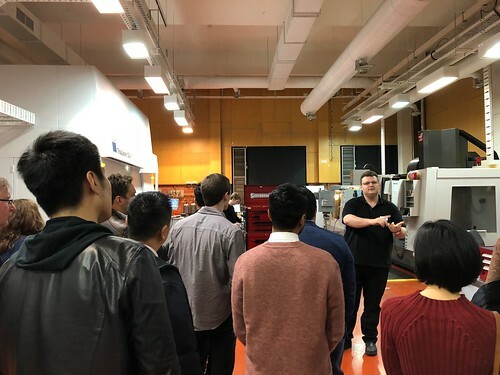 Did you miss our recent event at RMIT’s Additive Manufacturing Facility with our partners at 3D Heals? Don’t worry — we’ve got you covered. The video is now online at our YouTube channel… plus don’t forget to subscribe for more updates, including highlights of our upcoming #3dMedAu18 Conference in 9 days time! The RMIT Additive Manufaturing Team. Yesterday evening we had the pleasure of presenting at a 3D printing event hosted by RMIT’s Additive Manufacturing Precinct and organised by Sarah Fink and 3dHeals. 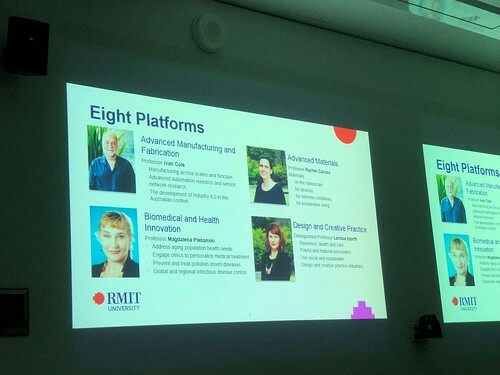 It started with a tour of the facility followed by an introduction by Prof Ivan Cole on RMIT’s research strategies including some fantastic work in materials technology and lattice design for medical implants. 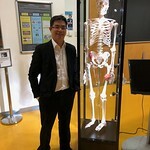 Jason Chuen from our very own UniMelb Austin Health 3dMedLab was up next to share his insights on Medical Applications of 3D Printing including anatomical visualisation, surgical planning, procedural simulation and teaching — together with an emphasis on the need for more cross-disciplinary work between clinicians and engineers. Next up was Paul D’Urso, founder of Melbourne 3D printing startup Anatomics was next with more information on how just-in-time manufacturing and personalised manufacturing can save transport and operating theatre resources. This was followed by Neil Anderson, CEO of Oventus Medical who have developed and commercialised a personalised oral mandibular advancement and airway appliance for obstructive sleep apnoea (what a mouthful! ) to replace standard CPAP (Continuous Positive Airway Pressure) masks. Together with CSIRO’s Lab 22 they used 3D printing throughout the prototyping and early manufacturing phases and still rely heavily on it for production and redesign. — Dr Anita Quigley, UOW. 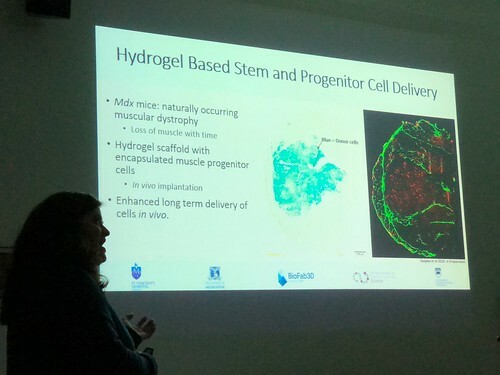 Last but not least was Anita Quigley, Senior Research Fellow from the Intelligent Polymer Research Institute who wowed the audience with her work on patient-derived stem cells for 3D printing. Like many other researchers in this field she has had to transition from being a biologist to a materials scientist, highlighting the interdisciplinary nature of this work. 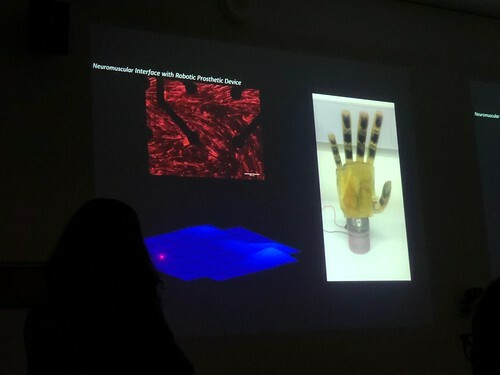 3D Bioprinting with Dr Anita Quigley, UOW. It was great to catch up with so many like-minded researchers and enthusiasts, as well as tour the Additive Manufacturing Precinct at RMIT. Thankyou everyone who came and we hope to see in in October at 3dMed Australia 2018! Remember — get those abstracts in ASAP! Touring the facilities at RMIT’s AMP. fanciest facilities still use the old Makerbots. OK, so we aren’t professional videographers… but that doesn’t mean that we aren’t passionate about expanding the use of 3D technology to improve patient care! We’ve put in our submission to the Better Care Victoria Innovation Fund to build our 3D Medical Imaging service. This will improve the quality of our CT and MRI scans to show anatomy and pathology in 3D, and help us create better, more useful 3D prints for our patients and doctors. Time to keep our fingers crossed and hope we get selected for funding! Today we had the pleasure of speaking at the Australian YPO & 49ers event “Rediscover Melbourne” along with Professor Ravi Savarirayan (Paediatrician, Geneticist, Murdoch Childrens Research Institute, Victorian Clinical Genetics Service) and Professor Stephen Fox (Pathologist, Peter MacCallum Cancer Centre). The session was opened by Federal Health Minister the Hon Greg Hunt MP, and we covered a wide range of topics from personalised medicine, epigenetics, cancer biomarkers, tailored tumour immunotherapy, medical innovation, artificial intelligence and neural networks, 3d printing, and funding for medical research. Thank you to Ken and Gail Roche, Craig and Caron Easton for inviting us, Peter Anastasiou for chairing the session, and special thanks to Lindsay Fox for a rousing speech.